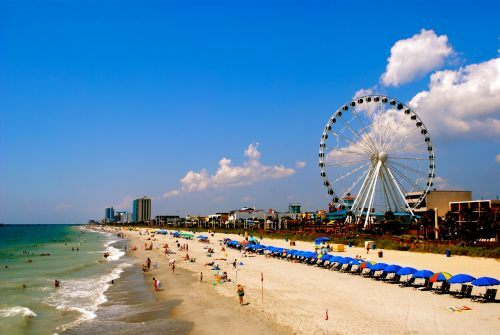 Spirit Airlines is showing airfares from Plattsburgh to Myrtle Beach, South Carolina for $92 CAD roundtrip including taxes. Plattsburgh is about an hour's drive from Montreal. More information about flying out of Plattsburgh can be found in the Official Guide for Canadians Flying Out Of U.S. Airports (from the Montreal area. 2. Search for a flight from Plattsburgh to Myrtle Beach. 3. Look for the flights that are $34.50 USD each way (or $24.50 each way if you join the Spirit Club). $69 USD roundtrip should work out to $92 CAD when booked with a Canadian credit card at today's exchange rate. flight deals, united states, plattsburgh, pbg, spirit airlines, myrtle beach, south carolina and north america.